Planning a wedding incorporates a lot of things. You need to concentrate on each aspect of the wedding. A perfect urban wedding takes place in a rustic venue and with various mighty buildings as backdrops. You need to look for several ideas to plan your urban wedding and make it a big hit among your guests. You can look out for the attractive Urban Wedding Decors available in the market. Wedding decorators can help you out with some of the unique urban wedding ideas. Urban weddings are common in the recent years. The article below gives you some ideas in offering an urban touch to your wedding celebrations. It highlights some of the exciting recent trends of urban style that have emerged in the marriage industry. The use of urban chic style in your wedding is a current and emerging trend in most of the urban weddings. 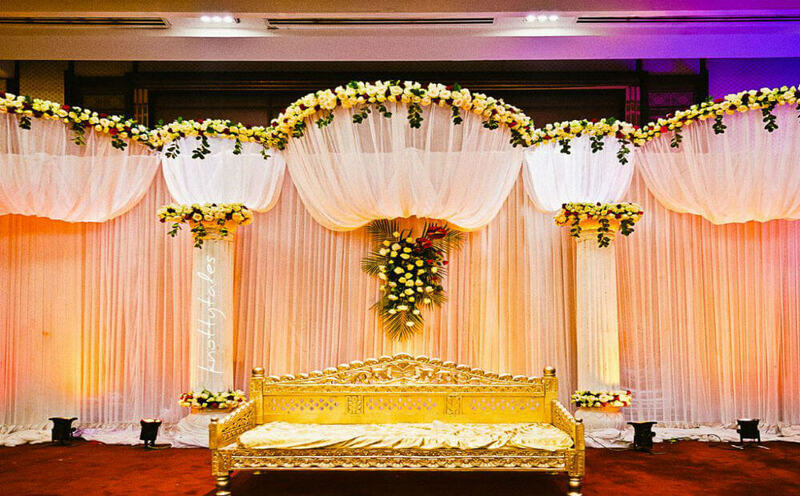 It is nothing but bringing the outside urban look of the city inside your marriage venue. It is one of the types of interior design style which has emerged in the recent years. Couple opts to have their wedding venues decorated with exposed brickwork, metals, potted plants, etc. All these offer a rustic and trendy look to the venue. It is important to source these types of urban chic elements from perfect providers. It is best to hire them as it is a mere waste to buy these items. You need to make a perfect choice of your venue that matches your urban wedding theme. 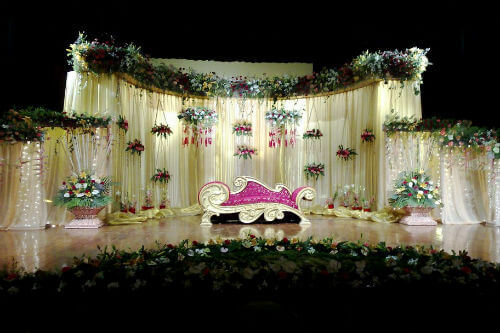 There are various wedding halls, banquet halls available in the city which can be hired. You can also organize your wedding reception in luxurious hotels where they provide ample outdoor space for marriage events. You can also opt for an open warehouse setup for conducting the wedding reception. You can decorate the warehouse with decorative bulbs, colorful and elegant curtains to make the venue more intimate. The above trendy ideas give an urban feel to your wedding. Wedding stage Decoration is of more importance as it is the centre of attraction for your guests..
Food plays an integral part in Indian weddings. Guests wish to enjoy tasty dishes of various varieties along with their friends and relatives. There are lots of options available for providing excellent food in an urban setup. Various catering services are offering special food for marriage and wedding reception. You can also seek the help of the various private restaurants offering food that match the tastes of the urban people. You can go for recycled objects like tins, barrels, and jars for decorating your marriage venues. Hanging bulbs and fairly lights offer an urban touch to your wedding decorations. You can also make use of vintage furniture to decorate your event hall. You can also hang some modern painting on the walls of your wedding hall. You can sketch your wedding invite with an urban touch by incorporating some of the elegant themes. The above are some of the popular and elegant ideas for conducting an urban type wedding.